The Pro Series NVR is taking it to the next level, designed for the customer that wants that extra Quality and Performance. For applications where details are critical for identification, this professional NVR provides a powerful processor with up to 4K resolution. Intelligent Video System (IVS) also supports Tripwire analytics, allowing the camera to detect when a pre-determined line has been crossed, People Counting, ideal for business intelligence, and Face Detection, for searching or identification of individuals. 8on board POE ports and expandable to16 cameras, Max 320Mbps incoming bandwidth. This NVR has 2 SATA III Ports, up to 6TB capacity for each HDD. This kit is supplied with 3TB HDD. System setup for remote viewing on smart devices. 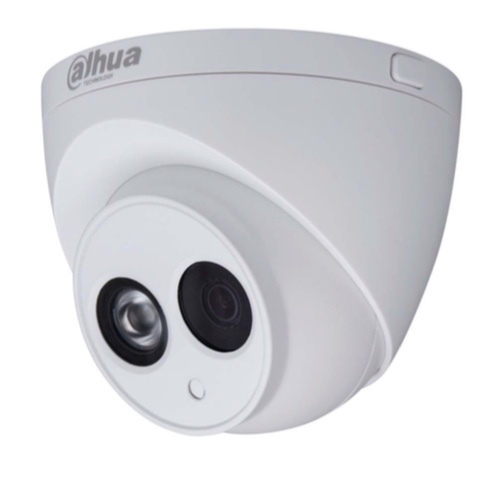 I have matched this kit with the Dahua 4MP HD dome camera. This Camera has Wide Dynamic Range (wdr), 2.8mm fixed lens, 50m IR led. You can't get the best out of a great system if you use a cheap monitor. Also supplied is Dahua’s 22inch full HD Monitor rated for 24hour use. Pro series 4 camera kit equipment list.